WASHINGTON — In an ironic twist of fate, emergency personnel in Virginia were training for an “active shooter incident” on Saturday while their counterparts in Maryland were responding to a very real shooting at a crowded mall. But it’s the reality of the times — local fire and rescue personnel must be trained on how to handle mass casualty situations like the Virginia Tech shootings or the Boston bombings, or even the latest shooting incident at the Mall in Columbia, where throngs of shoppers were forced to flee or shelter in place after a gunman shot two employees and himself Saturday morning. The mass casualty training that took place on Saturday at the Public Safety Academy in Nokesville, Va., was a hands-on exercise where fire and rescue personnel from Prince William County and the City of Manassas faced a hypothetical multiple casualty situation — 25 gunshot victims who needed triage, and then transport to area hospitals. 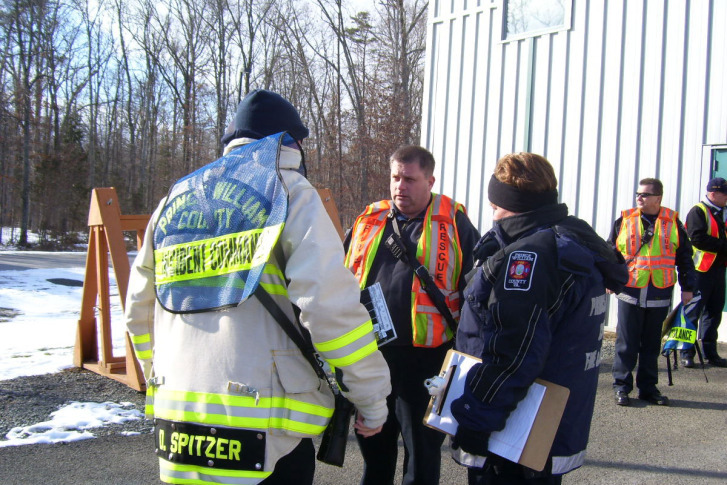 “The purpose of this is to assure that we are prepared for any type of multiple casualty incident,” said EMS Operations Battalion Chief Kim Pumphrey, of Prince William County Department of Fire and Rescue. The first responders learned how to deal with numerous victims of a MCI (mass casualty incident, also called multiple casualty incident). The goal of the exercise: “From start to finish, having the chaos of the incident be controlled and get accountability for all the patients and get them to the hospital in a reasonable amount of time,” she said. Thankfully, mass casualties don’t happen every day, but “we have had multiple, multiple mass casualty incidents from the Boston Bombings to Virginia Tech,” she pointed out. Pumphrey says while this isn’t the type of training they’ll depend on every day, it is imperative. So far there have been 10-training sessions. When they finish, about 1,000 fire and rescue personnel (both volunteer and career personnel) will have been trained through the program, she added.